RWH Book Club: The Next Book Has Been Chosen! Our next book club book! Thanks to everyone who gave feedback on our May Book Club pick. It's way too hard to choose good books (or narrow down the list!) without your input. 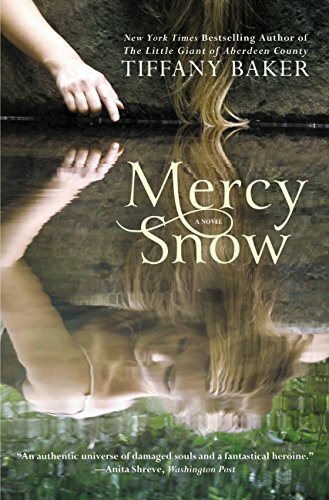 I am thrilled to announce that next month we will be reading Mercy Snow by Tiffany Baker! I think it's going to be a craze-mazing choice for book club! This one has it all--deep, dark family secrets, a wealthy matriarch who will do anything to protect her family's reputation, and a strong young gal who, though she may not have been born into money, more than makes up for it with grit and toughness. Sounds like more drama than you can shake a stick at! The book isn't too terribly long, clocking in right around 350 pages in paperback. That averages out to about 85 pages a week, which seems pretty doable. And our first discussion won't be until the second weekend of May, so you have some time between now and then to round up a copy and start reading. Each Saturday, I'll be posting a few general discussion questions to get us started. If you join us in reading the book, please feel invited to chime in with your thoughts in the comment section. What makes book club fun is getting to hear everyone's take on what we're reading. I can't wait to hear what you have to say about this one--it sounds so good! See you back here on Saturday, May 9th for our first discussion!